Washington (AFP) - US President Donald Trump has rejected ESPN's invitation to fill out a bracket for the national college basketball tournament, something his predecessor Barack Obama had done for the past eight years. Obama, known as a basketball fan, had his bracket unveiled on the US-based sports network with picks filmed in the Oval Office, but ESPN announced Wednesday that the tradition would end this year. "We expressed our interest to the White House in continuing the presidential bracket. They have respectfully declined," an ESPN spokesman said in a statement. Obama filled out brackets for the National Collegiate Athletic Association (NCAA) men's and women's tournament with ESPN reporter Andy Katz, correctly selecting North Carolina as the eventual men's champion in 2009. 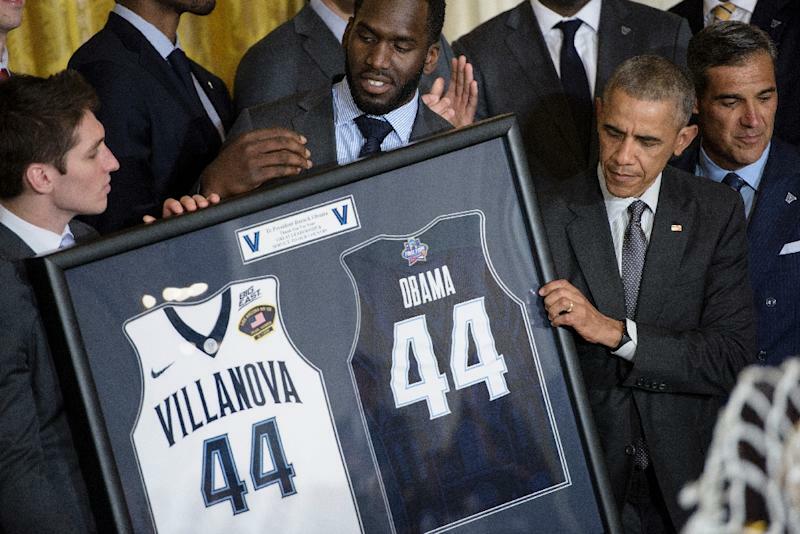 "He wasn't as dialed in to every player or team but had conversational knowledge to offer his own analysis on the NCAA tournament for the men's and women's game," Katz said of Obama. "'Baracketology' was a success because it was clear he was a fan of the sport and the NCAA tournament, like millions of other Americans." Trump did not close the door on future ESPN appearances. "We look forward to working with ESPN on another opportunity in the near future," White House spokeswoman Hope Hicks said in an email to The Washington Post. Trump, a former American football owner of the New Jersey Generals in the would-be NFL rival US Football League, did pick the New England Patriots to win the Super Bowl in a pre-game interview earlier this month. In December, Trump attended the annual Army-Navy American football game.